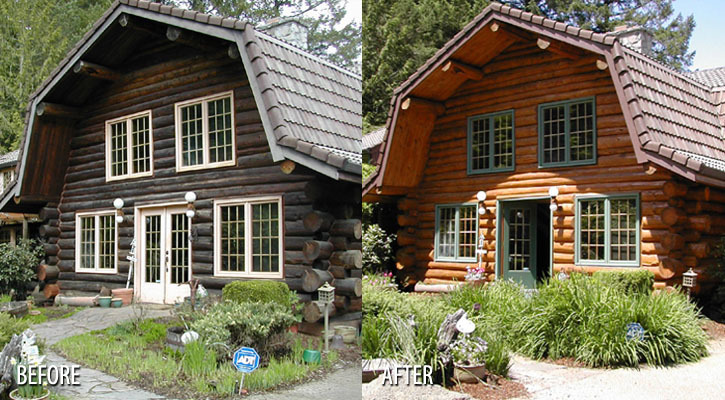 Strip & Brite — Our most powerful, professional grade exterior wood restoration product. 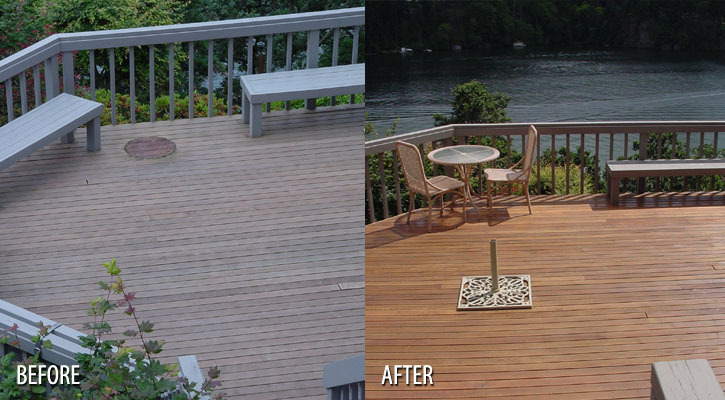 Restore the color and natural beauty of your weathered, discolored deck, fence or wood siding. 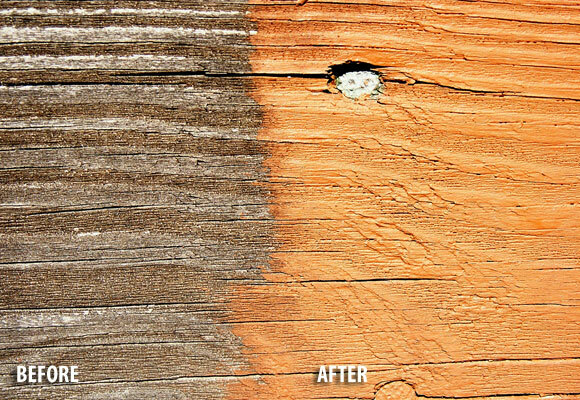 Strip & Brite is a two-step wood stripper for outdoor wood surfaces. 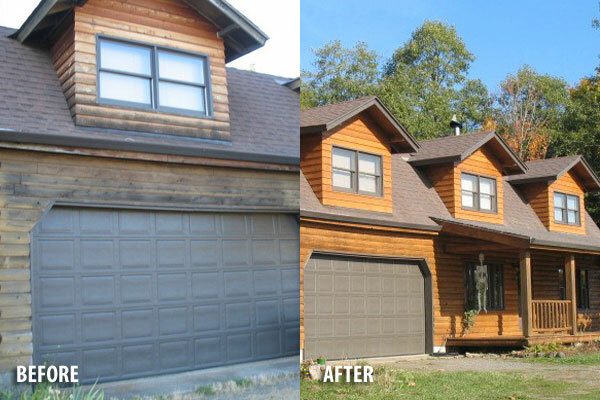 It is designed to remove discoloration and gray and darkish color caused by weathering and mildew, and will strip off transparent or semi trans oil based stains. 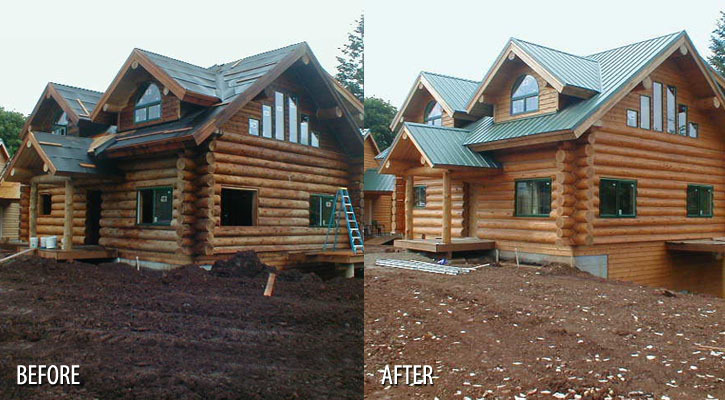 It will not strip acrylic stains, paint, urethane, silicone or latex based products. 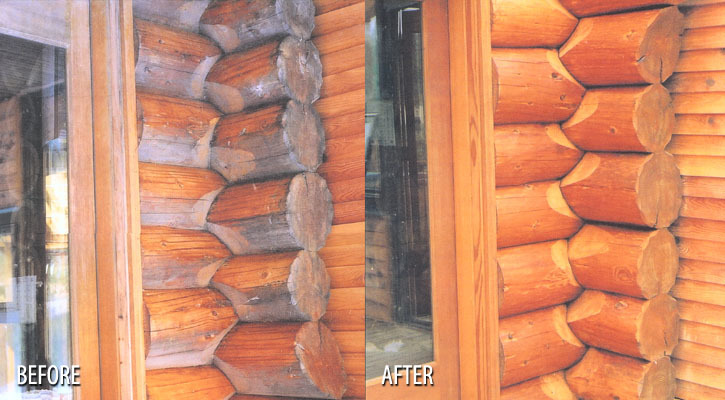 In some circumstances where previously applied stains are still viable and have built up in layers over the years, you may have to strip more than once. 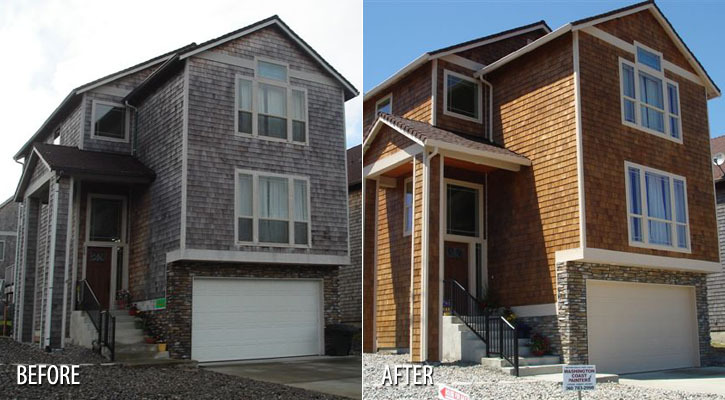 Once completed, you will be amazed at the results. 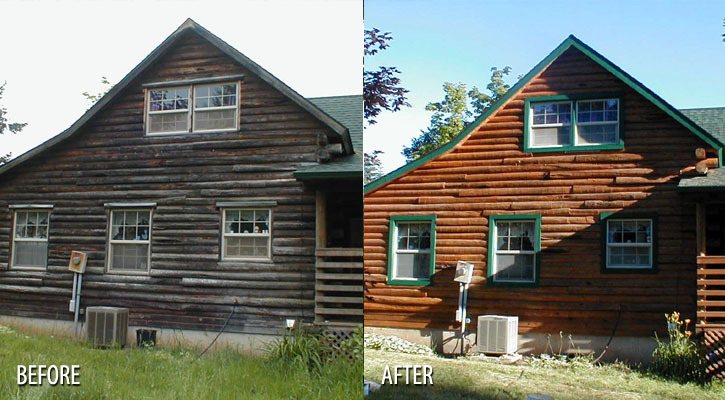 Strip & Brite restores the wood’s surface to a color you thought you’d never see again! 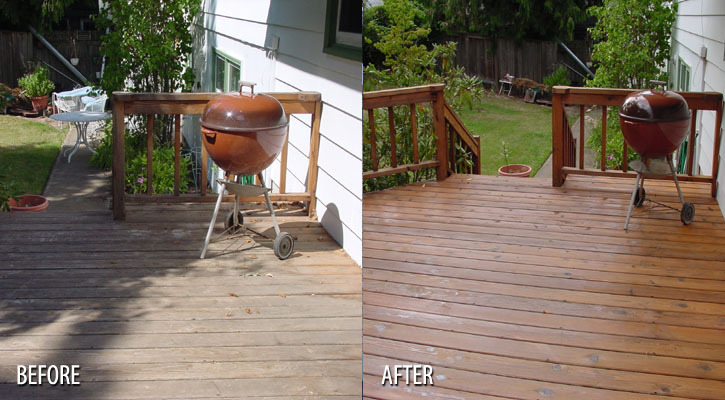 Step one is a concentrated gel that breaks down and dissolves discolored wood fibers and previously applied oil finishes. 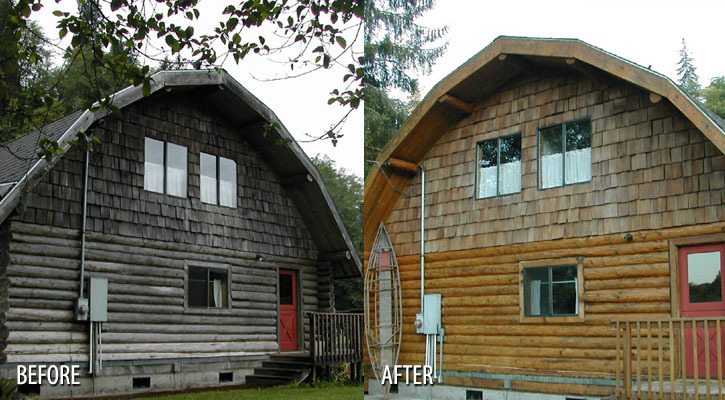 It is used by industry professionals and do-it-yourselfers for everything from log home restoration, wood siding restoration, or deck or fence stain stripping projects. 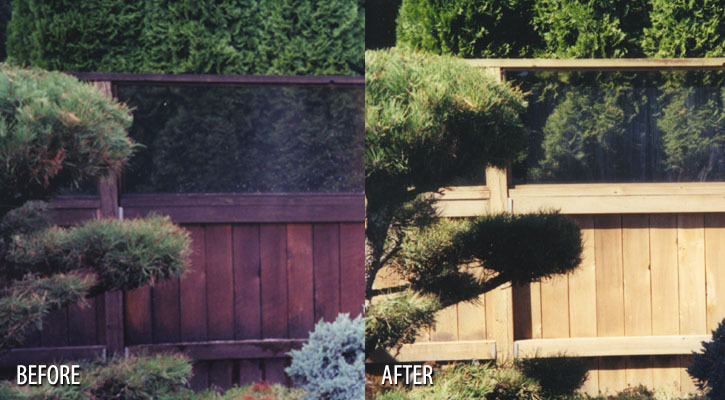 Arbors, gazebos, soffits, and outdoor garden furniture can also be stripped and restored. It should be applied at the rate of 100 sq. 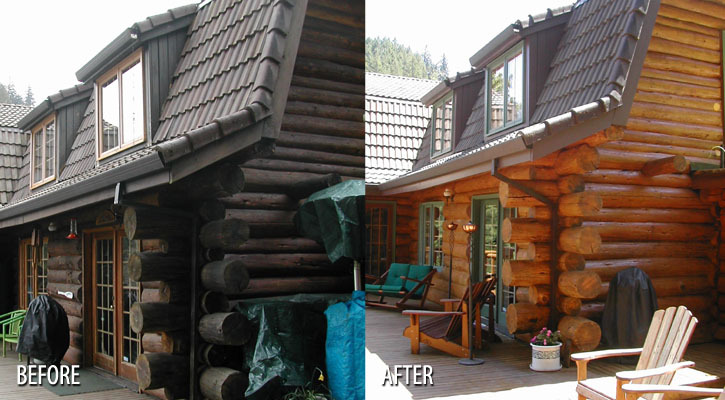 ft. per gallon without diluting on siding, or diluted with water on horizontal surfaces at the same coverage rate. 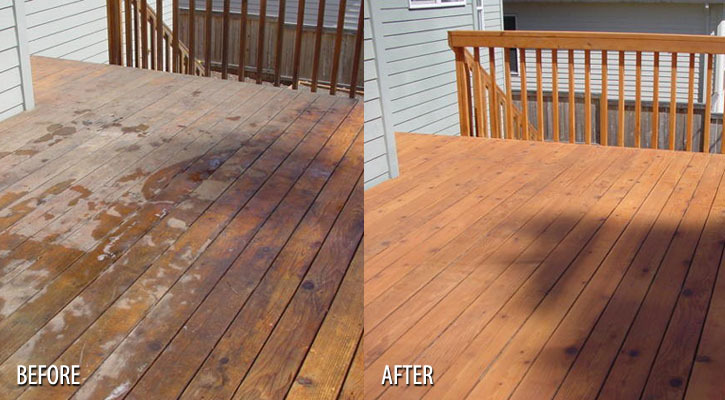 After activating for appropriate length of time it should then be scrubbed and rinsed with hose, or pressure washed off the wood. Step two is a packet of citric acid crystals that are included with each gallon of purchase. 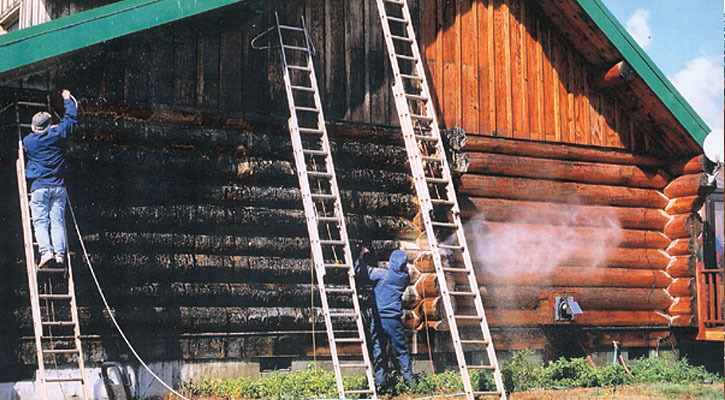 Unlike most of our competitors, we include the neutralizer with the stripper. The crystals are dissolved in water. 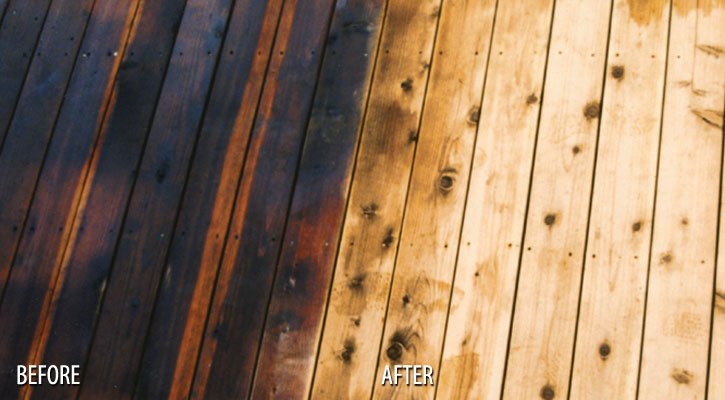 This second step when applied to the rinsed wood will neutralize the entire process, balancing the pH as it brightens the wood back to its original natural. 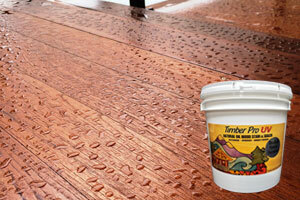 Allow 30 min to activate and then rinse well and allow wood to dry before staining again. 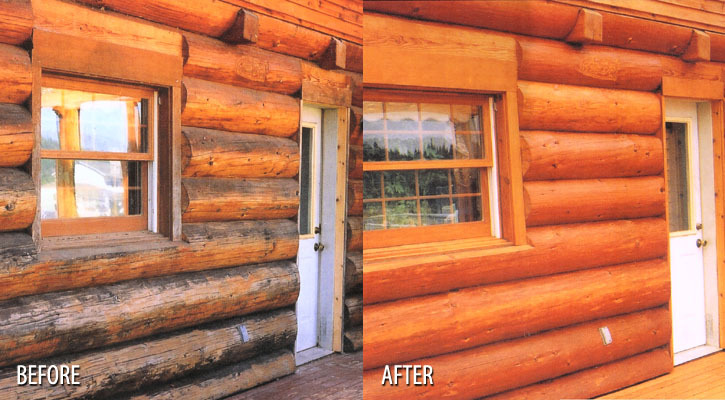 Note: Please read Strip & Brite Application Guide for detailed directions for use.